Two part manual that serves as a guide for any parent or professional working with autistic children. The ABA-based behavioral intervention strategies and the detailed curriculum focus on facilitating the child’s development and helping him or her to achieve the highest level of independence and quality of life possible. 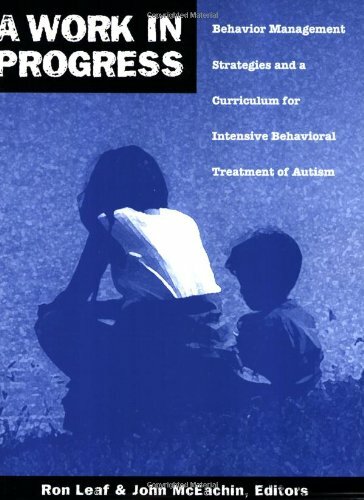 The book has served as a launching pad for many parents in the beginning stages of diagnosis and has been used as the cornerstone of many intervention programs. Applied behavior analysis.